Do you like to take your notebook with you all over the house or office, but you’re worried about the harmful effect of the not insubstantial heat on your skin? Or you like to play a little music as you portably work, but have a deep hatred of tinny computer speakers? 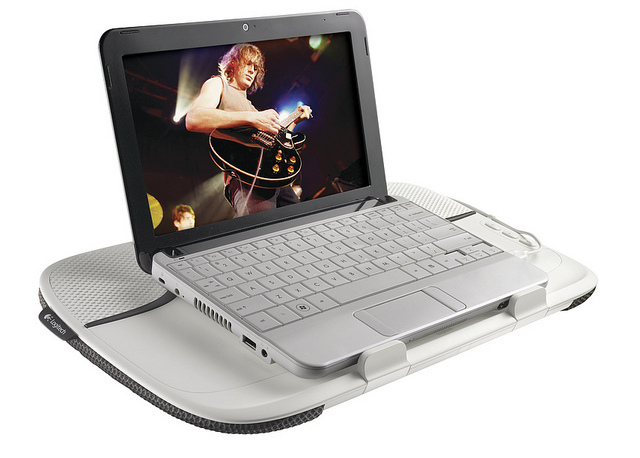 Then the Logitech Speaker Lapdesk N550 could keep you safely and groovily computing.